It’s a new month for XRP investors – and crypto investors in general. January was certainly a month to remember – or perhaps forget. Good news filtered through for Ripple and confirmed the continued steady progress for XRP, but the overall market downturn took over and pulled my investment down with it. I couldn't believe it when the MoneyGram announcement failed to decouple XRP from the larger market! "I'm pleased to be able to share MoneyGram has partnered with Ripple to use XRP in their payment flows." That was on January 11th. I hung onto my XRP throughout January with a white-knuckle grip. Each time I saw green numbers I hoped that the downturn in the crypto market had relented. It was not to be. The market didn't find a floor until the third of February. You might be wondering if this whole crypto investment idea was a bad idea at this point? It might surprise you to learn that even I’ve had my share of doubts over the years - but I’ve noticed one thing: While watching all of the price gyrations that Bitcoin had since it started its climb back in 2012: It always recovers after a correction … and exceeds the previous highs. Don’t get me wrong – crypto won’t keep going up forever, but we need to gain some perspective. Where is the current market capitalization? There are more stark comparisons as well. One twitter account posted a noteworthy observation about Apple’s balance sheet. Counting securities, Apple has roughly $215 billion in reserves. 7 In reserves. That’s more than the most recent market capitalization of Bitcoin and XRP put together. So what lesson can we draw from these points? The crypto market is volatile, yes, but it is also just beginning. When history looks back on this downturn, it will most likely view it through the lens of the greatest buying opportunity in 2018. We’ve seen this before with Bitcoin and other cryptocurrencies; a fast increase, a setting of a new all time high, followed by a correction. The only thing that’s changed is that the crypto market is starting to bounce back much faster than it previously did. I remember when Bitcoin first touched $1,200 per coin… that was years ago, and when it did, it fell back to almost where it was before the rally that took it to those heights. And we’ve recently seen it hit an all-time high again, almost touching $20,000 per Bitcoin. I believe it will eventually reach and exceed that level in 2018. XRP has an unique advantage among cryptocurrencies. It's adoption is not championed by a small development and business team, or even a nonprofit foundation; Ripple is (arguably) the largest fintech company in existence. It has vast resources compared to almost any other crypto network in existence, and it is led by, collectively, the most impressive team in the crypto market. There are multiple plans coming together in the very near future to refuel the rockets for XRP. Much of the business apparatus that both Ripple and SBI Ripple Asia planned has now come to fruition. In addition, Ripple is continuing to aggressively open new corridors for RippleNet. XRP investors will first notice the impact from the additional volume of new exchanges. It’s a ‘good thing’ as Martha Stewart would say, when I lose track of all the new exchanges adding XRP. It seems like every day I’m noticing a post about increasing liquidity being added to the XRP ecosystem. And it’s shown in XRP’s daily volume numbers which are now measured in the billions. Let’s zero in on some of these announcements and their implications. 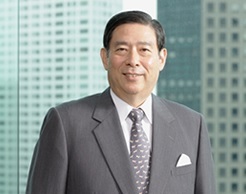 When I think of SBI, I picture a massive conglomerate of companies all working together, with its arms outstretched to South Korea and down as far as Hong Kong, extending from its base in Japan. I’m not certain how accurate that mental image is, but I have a feeling that it’s not far off the mark. SBI’s online securities trading platform currently has more than 4 million brokerage accounts. 8 9 It’s not starting fresh like some cryptocurrency exchanges; it’s providing its current membership the option to try their hand at trading cryptocurrencies. 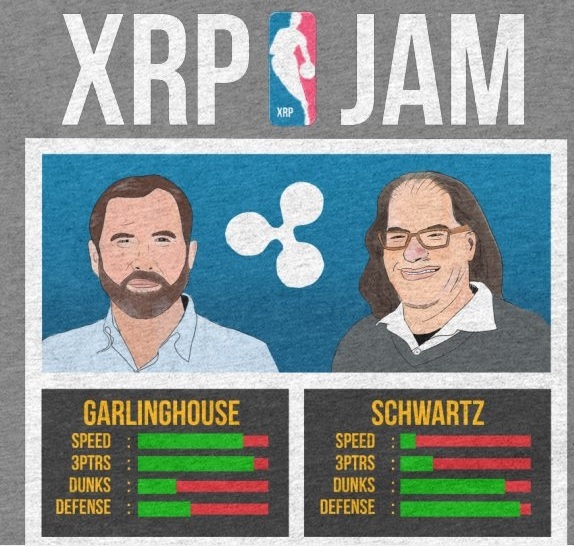 Having XRP serve as the primary fiat value pairing is great news, and I think it’s something that every exchange should strongly consider; do traders really want to wait over an hour to move Bitcoin onto - and off of - an exchange, while paying huge transaction fees in the process? I know I don’t. I’d much rather move my money in real-time. The integration with xRapid is icing on the cake, and it adds more concrete details to the xRapid implementation approach, whereby the same cryptocurrency exchanges that we use to trade XRP will also be used to source liquidity for fiat-to-crypto conversion. This adds to the current list of exchanges that integrate with xRapid, including Bitstamp and Bitso. 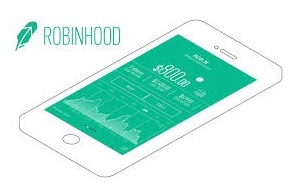 If you are not familiar with the history of the RobinHood application, you can think of it as a mobile application for trading stocks, targeted towards the millennial investor market. It’s a unique creation, and the founders definitely deserve recognition for creating a viral application for investing. Uphold, in turn, will use some of that investment to insure itself against losses. Before Gregg Kidd’s investment, Uphold kept only 1% reserves in addition to user deposits; this reserve amount will be increased to 20%. Have you heard of UnoCoin? 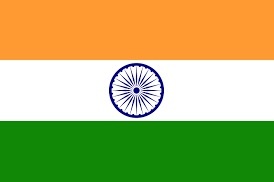 It’s an exchange in India that is closely tied with its mobile wallet. Users have the option of purchasing crypto directly from the exchange. 20 While some users have complained in the past about the conversion rates,21 I’ll count this as a win for XRP since there are a lot of mobile users of the UnoCoin wallet. 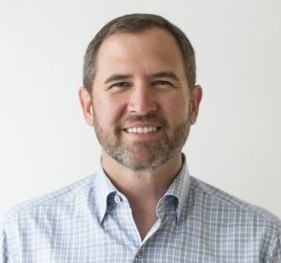 The XRP community is actively tracking the monthly escrow amount, and attempting to ascertain the level of institutional sales or other uses that Ripple has conducted. Each month, one billion XRP is released to Ripple, and Ripple has stated that they would return the unused portion of that release into a revolving escrow for another 55 months. On February 1st, Ripple moved 900 million of the released XRP back into escrow for another 55 months. When will this XRP become available again? July 31st, 2022. This amount – conservatively valued – would have easily provided over $100 million in capital to Ripple. That number represents a very large amount of funding. Most medium-sized initial coin offerings can take in, over the course of their life span, up to a hundred million dollars if organized properly. Ripple, with its XRP sales to institutional clients, is able to obtain that amount of funding each month with a minimum of hassle. This is a strong competitive advantage for Ripple, and it provides immense stores of capital for investment purposes – or to acquire new businesses. These periodic XRP sales are going to supercharge adoption efforts for XRP. Application developers are starting to independently develop code that runs on the XRP Ledger, and that accesses and handles functions in a way that makes it easy for end-users to leverage. We've previously looked at wallets and Escrow applications. In addition to applications, there are other updates to the community that include new online swag shops, among other things. Let’s take a look at a couple high-profile updates. For those that use Twitter, I have good news for you; the same bot that handles tips for Reddit now handles tips for Twitter as well! 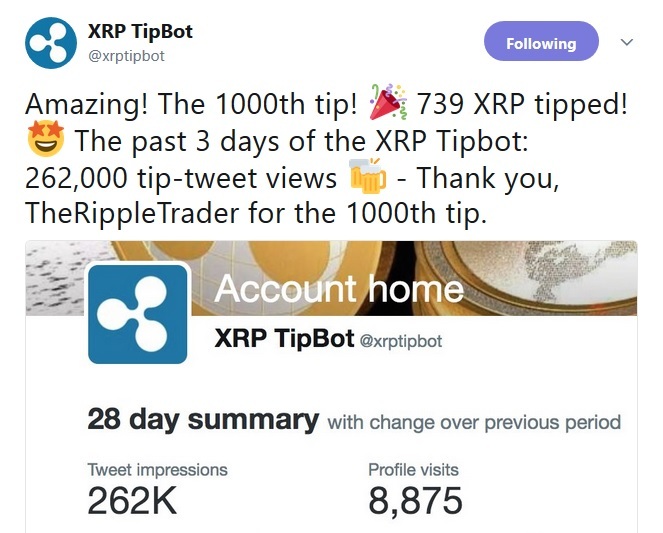 The developer managed to configure the bot to handle tips on Twitter, and it works almost identical to how it works on Reddit; to tip a user, merely reply to their post and say “+1 @xrptipbot”. Note that the syntax is slightly different than that on Reddit, as on Reddit you have to type “+1 /u/xrptipbot”. The Digital Ledger is an online shop that offers swag at competitive prices, and it contains designs that are quite original and unique to the shop. I’ve heard rumors that the designs in the shop are collaborative, but that most of the unique ones have been designed by a team that includes Dre Ventures of YouTube fame. Santander announced their new application for making payments across borders, specifically geared for the retail market. In fact, on the slide that was published, the term “P2P payments” is positioned noticeably by the picture of the iPhone. 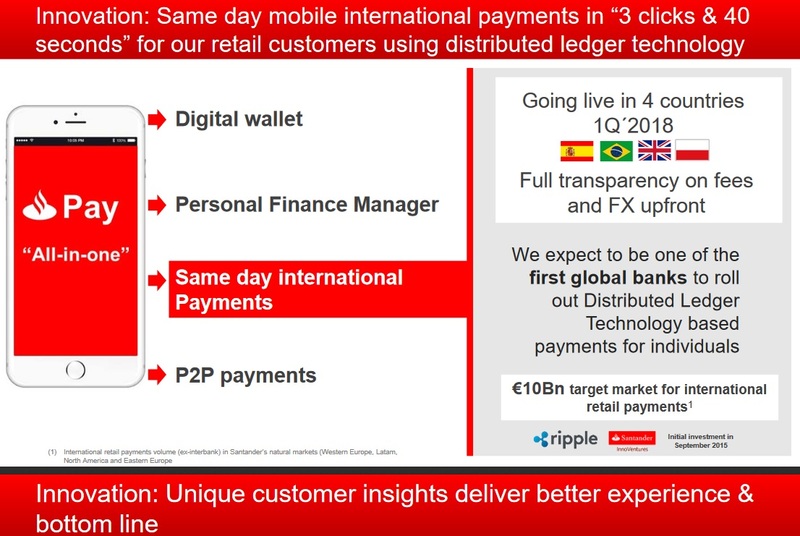 "We expect to be one of the first global banks to roll out distributed ledger technology based payments for individuals"
This application is exciting for the potential to revolutionize the payment application space; while other popular payment applications are based on the cooperation of partner banks and “banking islands,” Ripple technology has the potential to allow Santander to communicate with any other bank or organization that supports communication using the Interledger Protocol, or ILP. I’m excited to see Santander roll out the application for general use, given its in-house popularity among staff members. If you are new to crypto investing, you may have purchased XRP recently during its rallies in late December and early January. You may be wondering if it was wise to get into crypto in the first place; on paper, your investment might have decreased in value. My own experience goes back to trading in Bitcoin when it was even more volatile than what we’ve seen recently. The term “flash crash” was used more than once to describe the trials and tribulations of the early Bitcoin market. But with these market corrections can come unequaled gains. The key is to invest in a cryptocurrency that you truly believe in, after doing research about the technology and the business plans of the sponsoring organization. With XRP, you own a cryptocurrency with use cases that may result in very high volume usage of Ripple’s digital asset. We’re already seeing massive companies like MoneyGram trial xRapid, along with other remittance innovators like IDT, Mercury FX and Cuallix. And now we’ve just seen how SBI is rolling out its Virtual currencies marketplace in a way to specifically speed xRapid usage and adoption. Ripple is a company with layered business plans whose pieces are falling into place in a way that heralds major developments for crypto. It’s now just a matter of time before XRP obtains its footing and momentum in the market and leads the charge once again for mainstream usage of blockchain technology.